Firefighters Day Royals vs. Mariners Sunday, August 8, 2010 - 1:10 p.m.
Join the Seattle Mariners and Washington State Council of Firefighters in honoring your local firefighters at the 5th Annual Firefighters Day at Safeco Field. 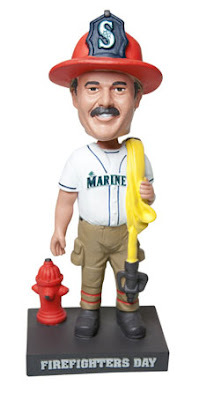 Receive a FREE limited edition Firefighters Day bobblehead with the purchase of tickets through this special online offer (while supplies last; more information coming soon)! Game Date: Sunday, August 8, 2010 - 1:10 p.m.